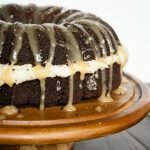 Looking for an easy sweet treat to serve at your holiday party? 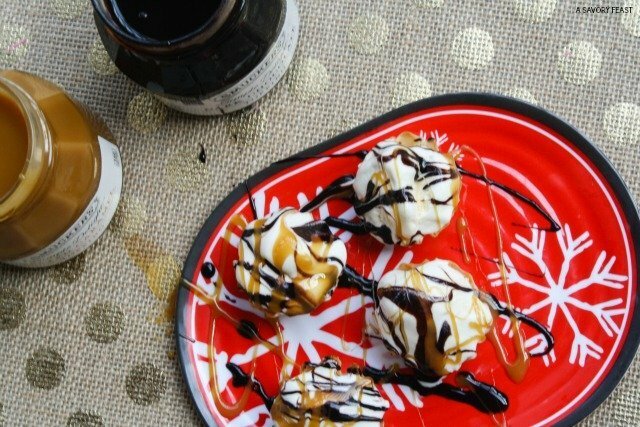 These Dark Chocolate & Salted Caramel Ice Cream Bites require just 4 ingredients and a couple of minutes to make. As soon as Thanksgiving was over, I was ready to jump into the Christmas season! 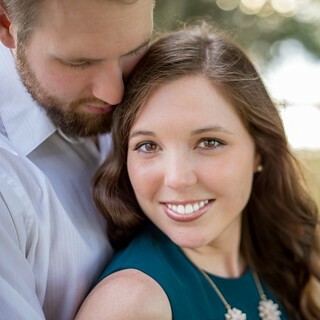 Andrew and I just got married a couple weeks ago AND bought a new house this year, so the holidays are even more exciting this year. I’ve been having a lot of fun buying and making decorations for our new home. Now that the house is pretty much ready for the season, I’m starting to think about holiday recipes to try this year! 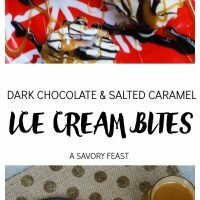 When it comes to party desserts, I tend to make individual treats like these ice cream bites. They are so easy to serve! Our new house is just around the corner from Target, which can be dangerous! I stopped by the other day to pick up the ingredients for this recipe. 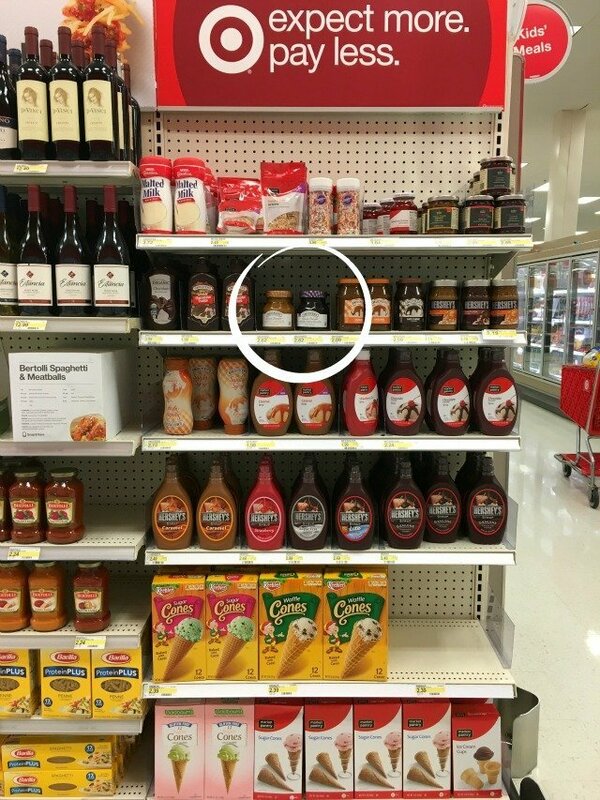 If you use Cartwheel, you can find a 20% off coupon to save on Smucker’s Toppings! I found just the thing to top off my ice cream bites! 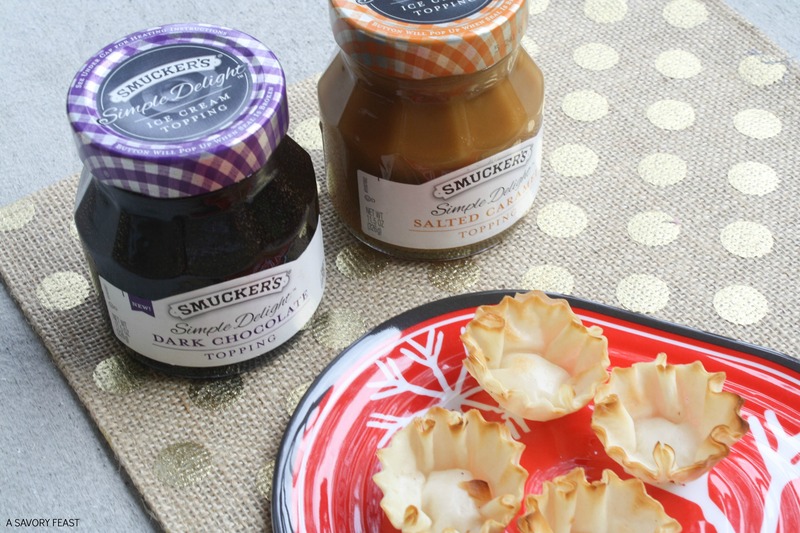 Smucker’s Simple Delight Topping comes in dark chocolate and salted caramel. I grabbed one of each for a yummy flavor combo. 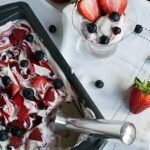 What makes this dessert even easier for parties is that you don’t have to bake it! Just a couple of minutes to assemble the four ingredients and you are ready to serve. 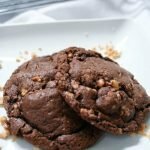 Do you want to try this recipe this holiday season? 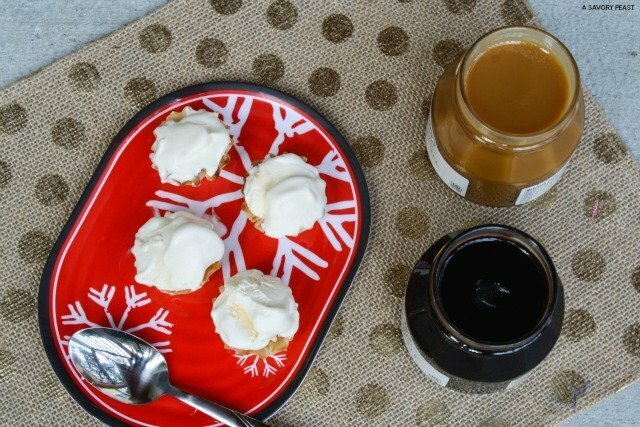 Be sure to pin it or add it to your recipe box on Yummly! Let the ice cream soften outside of the freezer for about 10 minutes so it's easier to scoop. Arrange the phyllo dough shells on a serving platter. Fill each shell with ice cream. 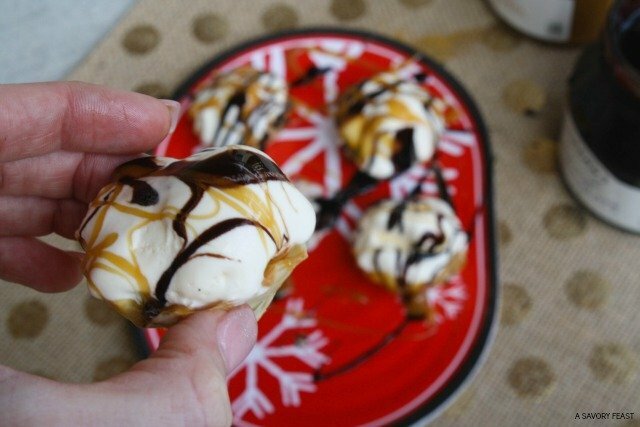 Use a spoon to drizzle the ice cream-filled shells with both the salted caramel and dark chocolate toppings. Stop those look so good! I definitely am keeping this recipe handy for the holidays. 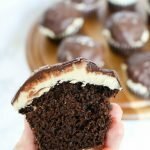 Ice cream topped with chocolate is totally something I’m all over! I’m drooling. All my favorite flavors in one perfect dessert! I will be trying this for sure!! It’s too easy not to make! You will love it. OMG stop it! You just made this way too easy for me. Caramel is my favorite. Yummy!! Mine, too! Especially when it’s combined with dark chocolate. Way to make my mouth water. YUM. It’s killing me that I still have the ingredients for this in the house. SO tempting! Thank you! I love easy recipes like this when it comes to entertaining. Much less stress! I’m so jealous of your nearby Target! Lucky! Thanks for linking up with The Alder Collective! Your posts have been pinned to our group party board. We hope you’ll join us again tomorrow at 8 pm EST! Living so close to Target is wonderful and dangerous at the same time! Thanks for stopping by.